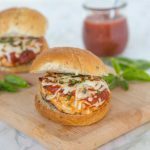 Parm-Style Chicken Burger – Turn the classic Chicken Parmesan into a delicious chicken burger! 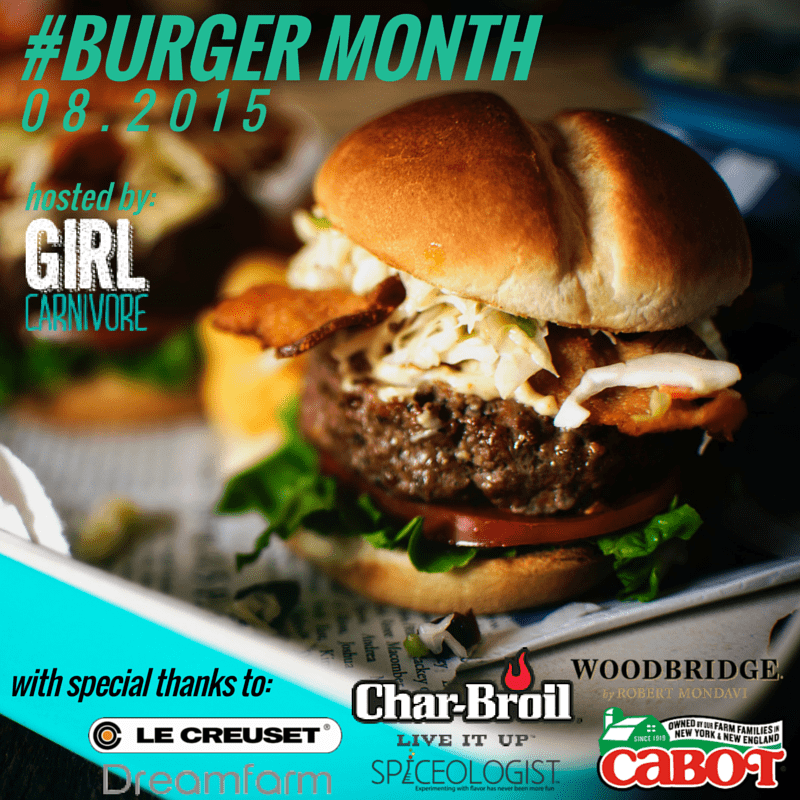 I am excited to be celebrating #BurgerMonth, hosted by Girl Carnivore, with lots of amazing bloggers again this year. 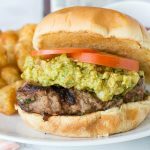 I shared 2 burgers last year as part of burger month; the Chicken Taco Burger and the Jalapeno Turkey Burger. 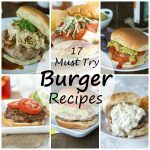 I am trying to share lots of the burgers on my Facebook page, so make sure you are following along and checking them out! Plus there is kind of an awesome giveaway in store for you at the bottom of this post. 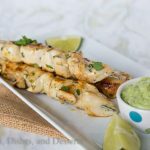 Recently my 10 year old was going through my Cooking Light magazine and picking out recipes he wanted to try. We already made the Shrimp Summer Rolls, and this was one of the others he picked out. 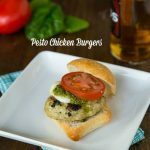 I was happy to see he picked these parm style chicken burgers, because I had already earmarked them as well. 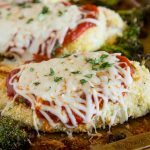 Chicken Parmesan is one of my favorite Italian dishes. So if I could enjoy something that tastes like it at home, that isn’t crazy high in calories, I am all over it! 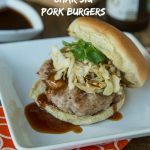 We make a lot of chicken burgers around here, but I have to say these were some of the best ever! Chicken burgers can be a little on the dry side sometimes. 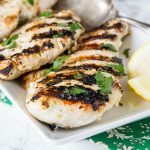 There just isn’t a lot of fat in ground chicken. So I grated in the onion for moisture, plus you put actual marinara sauce in the burger! 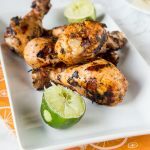 Super easy to throw together last minute, and they cook in under 15 minutes. Then you just have to pop them under the broiler to get the cheese all bubbly and melty! 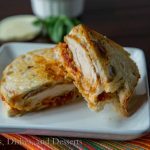 It wouldn’t be chicken Parmesan if you didn’t have golden, melted cheese on top! 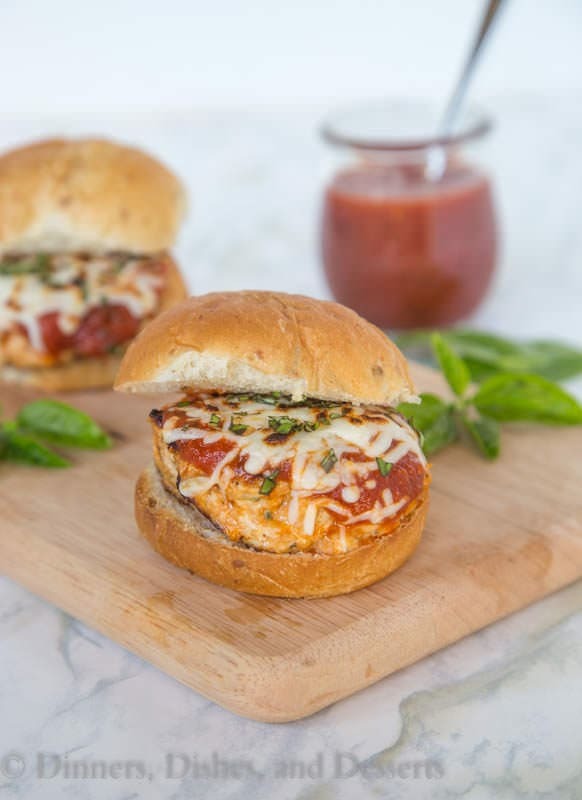 Parm style chicken burgers have all the flavor you love from Chicken Parmesan, but in the form of a burger! 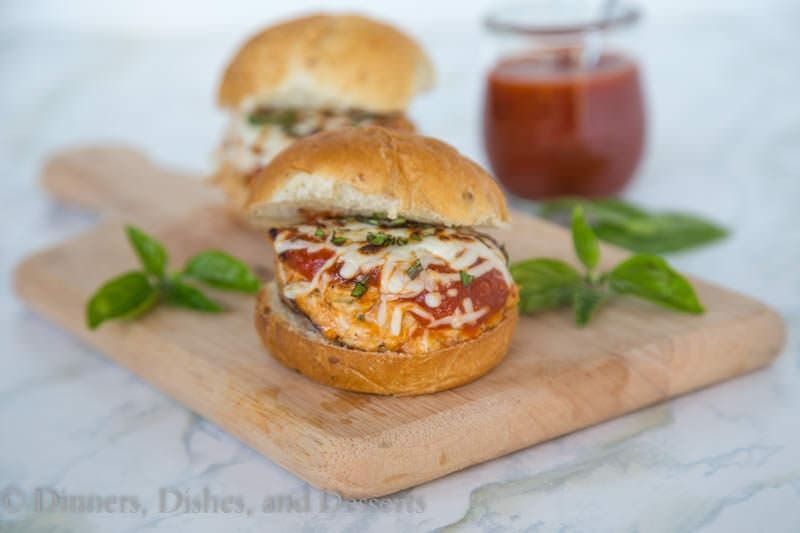 Parm-Style Chicken Burger - Turn the classic Chicken Parmesan into a delicious chicken burger! 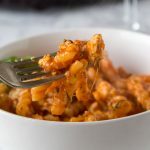 In a bowl mix together grated onion, oregano, garlic, chicken, bread crumbs, Parmesan cheeese, 1/2 cup marinara sauce, salt and pepper. Mix well. The mixture will be fairly loose and wet. Form into 4 patties. 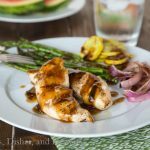 Heat a large skillet or grill pan to medium high heat. Spray with non-stock spray. Add chicken burgers to the pan. Cook for 6-7 minutes per side, until cooked through. 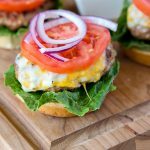 Arrange the bottom halves of the buns on a baking sheet. Place 1 chicken burger onto each patty. Top with 1 Tbls of the remaining marinara sauce, and sprinkle evenly with cheese. Place under broiler for 2 minutes, or until cheese is melted. 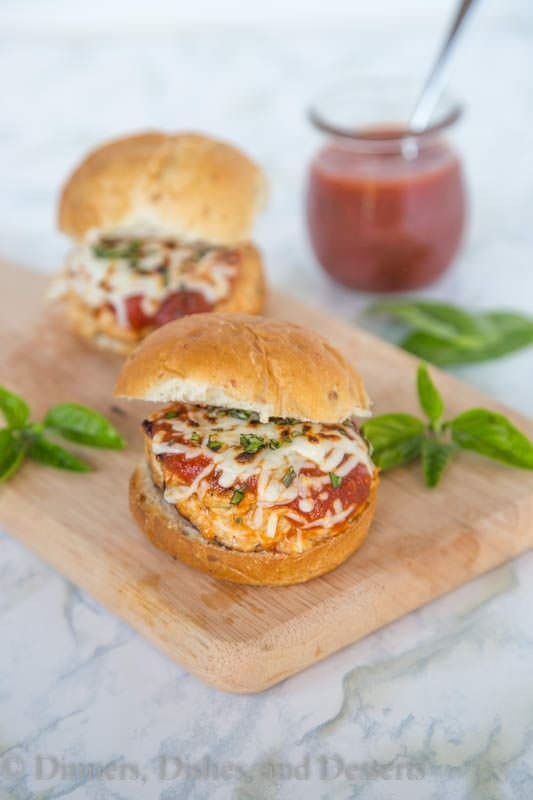 Top with fresh basil and top bun to serve. OOOO yay!!! I am so excited to see this! Mine is coming at the end of the week! I made these last night. Very, very good. The only thing I changed was leaving out the crushed red pepper. Both my husband and I loved them!